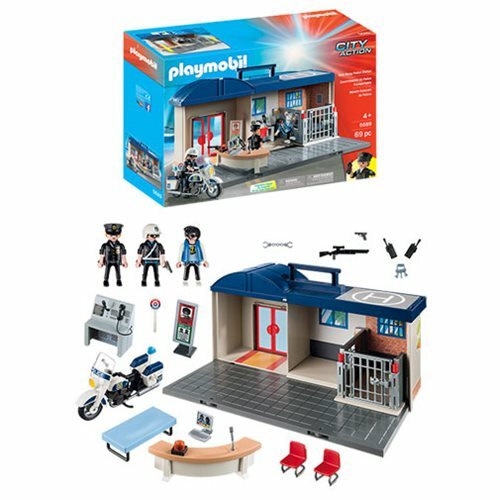 Keep the city safe with the Playmobil 5689 Take Along Police Station! This amazing station features a police motorcycle, furnishings, weapons, keys, a phone, a cell, and three figures. Everything fits in the fold-up box and can go with you anywhere - it's handy and fun, too! Ages 4 and up.